Stand behind the Goodspeed Opera House in East Haddam, Connecticut, today and you get a pretty good feeling of what the Mississippi River must have felt like in the era of Edna Ferber’s novel SHOW BOAT. You are literally on the banks of the Connecticut River, either on the shore or on the dock at which boats can still tie up. So there is something strangely inevitable about Goodspeed deciding to mount a production of the musical SHOW BOAT this summer. Except for one thing: SHOW BOAT is an epic, and the Goodspeed theater is anything but epic in size. It only has a couple of hundred seats, and a stage that is smaller than most high school auditoriums. 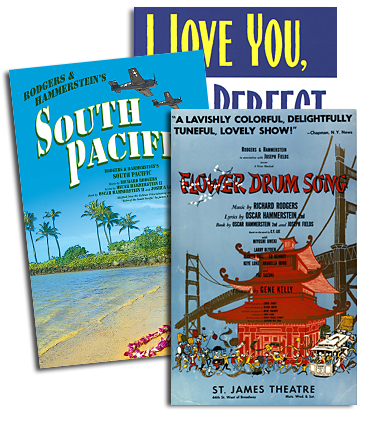 It is in some ways a Victorian era Folly, but one in which fine productions of musicals have been mounted for many years. Still, SHOW BOAT seemed an artistic reach. Enter director Rob Ruggiero. I had seen his production of 1776 at Goodspeed several years ago, and it was the first time I ever liked that show. OK, OK, I know it has fans, but I always considered it an obvious story linked with dumb songs, and just never bought it as a satisfying musical. But Ruggiero’s staging captivated me from the beginning, and I found myself wondering how these gentlemen were ever going to come to consensus about signing the Declaration of Independence. I knew they signed it; I just couldn’t figure out how the conflicts were going to be resolved. I was completely hooked. So when Michael Price called and asked for the rights to SHOW BOAT, and brought Rob’s name up as the director, that seemed like a good idea. I thought he would have as good a chance of figuring out a SHOW BOAT that would make sense for Goodspeed as anyone. And based on the matinee I saw this past week, he has succeeded rather brilliantly. Ruggiero did what smart customers of ours do: he realized that he had in us a resource. And he took proper advantage of that resource. Starting with our stellar Director of Music Bruce Pomahac, many of us have been dealing with productions and recordings of SHOW BOAT for years, and we are the repository of vast amounts of material. We’ve learned a few things about what works and what doesn’t work, and there is nothing more thrilling than engaging in a collaborative dialogue with an enlightened director who asks tons of questions. Also, in the rights holders of the show, we have bright, informed, and passionate people with a strong view, but true understanding of the risks involved in mounting any production. Keep one thing in mind: SHOW BOAT has never really been performed the same way twice. As the bona fide granddaddy of the modern musical, it was both standard 1927 operetta fare and a completely revolutionary work – at the same time. Yes it was a rich musical drama, but it was produced by the man who prided himself in “glorifying the American girl” – Florenz Ziegfeld. His productions showed that he had more interest in pretty girls and pretty melodies than in a story of American cultures and families dealing with the perils of the time and problems of family life. Some of the richest material – like “Mis’ry’s Comin’ Aroun’” – was cut between its original out of town performance and Broadway opening. And then for each movie version or revival, Oscar Hammerstein II and Jerome Kern added songs to suit the specific needs. Goodspeed began rehearsals with a good version, with a focus on the family stories, since that is what Ruggiero felt would work best at the theater. And a first rate cast was assembled, starting with Sarah Uriarte Berry as Magnolia, Ben Davis as Ravenal, Lenny Wolpe as Captain Andy – first rate Broadway pros all. But it was somewhat risky when this week a large and important group ventured forth to go see one performance all together: Alice Hammerstein, daughter of Oscar; Julie Gilbert, great-niece of Edna Ferber (who was named after the character in the show…) and Andy Boose, the lawyer who speaks for the Jerome Kern interests. This is a group that has seen many a SHOW BOAT. Happily, and luckily, everyone was thrilled. It was indeed the realization of what director Ruggerio had set out to accomplish, and he and his team figured out clever ways to use the best of Goodspeed. I have been around Rodgers & Hammerstein long enough to know when any crew of rights holders have to be polite, when they have to find a couple of nice things to say, and when on rare occasions they can say honestly and genuinely: “we loved it.” And that was the case here. Michael Price brought Alice and Julie up on stage at the end of the performance, and Alice, who is nothing if not straight-forward, quietly said that for a show that she knows pretty well, and had first seen when she was 6, this production made her cry because it was so good. Great show in and equally historic setting. 'Just saw it yesterday and agree with your assessment completely. 'So glad family members felt the same way. A magical experience!